candidates may send online application forms through its official website of https://mphc.mponline.gov.in. Last date to submit online application forms is 14-12-2018. 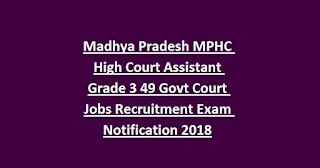 Full information regarding these Vacancies of MPHC Assistant Grade 3 jobs i.e. 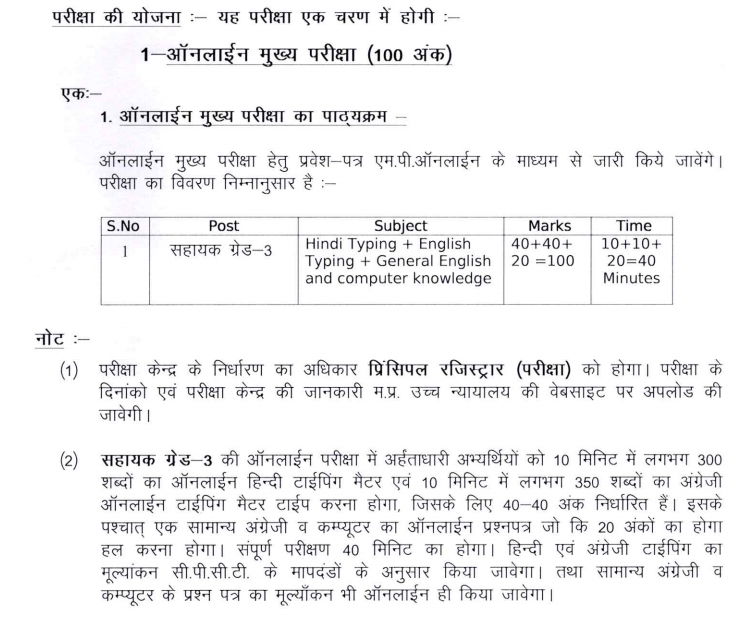 Educational Qualification, Selection Process, Age Limit, Application Fee, Pay Scale, Important Dates etc is given below. 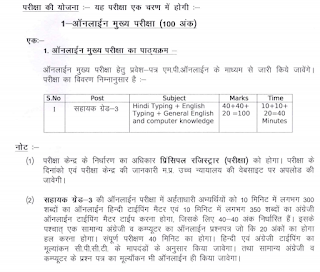 MP High Court Assistant Grade 3 Govt court Jobs Recruitment selection will be held through written test, typing test and interview. 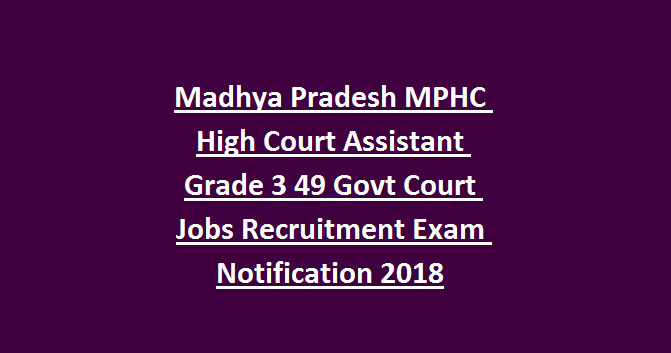 There is total 49 vacancies available in High Court of Madhya Pradesh Recruitment. Educational Qualification for Assistant Grade 3 Jobs is the candidate must have qualified 12th passed or diploma in relevant discipline or B.C.A. or Graduation degree from a recognized university. Age limit must in between 18 years to 35 years as on 01st January, 2019. Age relaxation is there for Scheduled Caste, Scheduled Tribe, Other Backward Classes Non-Creamy Layer aspirants as per MP High Court rules and regulations. Rs.5200/- to Rs.20200/- per month with grade pay of Rs.1900/- salary for Asst Grade 3 jobs. It will be through written test, Typing/Skill test followed by personal interview. Interested aspirants may send online application forms through its official website of https://mphc.mponline.gov.in Last date to submit online application forms is 14-12-2018.